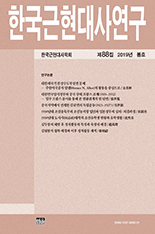 黃善翌,(2005).해방 후 대만지역 한인사회와 귀환.한국근현대사연구,34(),195-220. Taiwan was built over Japanese Empire defeat and the Chinese national governmental(中國 國民政府) jurisdiction. The Chinese national government concentrated a national strength on Kuokong neichan(國共內戰) in Chinese mainland me and excluded several and a maintenance of public security in priority order to a station. Japan used Chinese national governmental policy in order to keep Japanese Empire infrastructure and attempted profit of oneself. The Chinese national government dealt with the Koreans whom there was according to 'Han-Kyo Policy'(韓僑政策). The Chinese national government partitioned off a Korean with 'HanJeokByeongSa'(韓籍兵士) with the non-official civilian and applied to them 「韓僑韓?處理辦法」, 「韓僑處理暫行辦法」. Basic position issued rights of residence certificate according to a mind of a Korean or it was to let you return, but generally resulted in a form of compulsory 'group repatriation'. To the Korean repatriation was performed mainly in a station in 1946. This study can know that the repatriation of the results that synthesized statistics of Taiwan and Japan related organization, Korean soldier about 1,300 people and general Korean 2,000 people was put on progress of. The Taiwan defend Command(臺灣警備司令部) concentrat the Korean soldiers who were a Japanese army, and managed 'HanJeokGwanByeong-JipHunChongDae‘(韓籍官兵集訓總隊) with an organization from November in 1945. The 'JipHunChongDae’(集訓總隊) was a worker group with a laborer, a civilian attached to the military civilian employee with a Korean soldier pulled before liberation to Taiwan and neighborhood region. As for them, it was concentrated in the Tai-Pei city neighborhood. it was transferred to 'GwangBokGun'(光復軍) 'JamPyeonJiDae(暫篇支隊)' of Korean Provisional Government after it was managed concentration according to policy of in the immediate liberation the China nationalist party(中國 國民黨) political power. Korean soldiers in Taiwan were built besides influence of a Korean Provisional Government unlike this, and a Chinese army surgeon was subject to. 'JipHunChongDae'(集訓總隊) trained ‘the friendly influence to China’, and it was for it to have been enforced rights and interests in a keynote of policy about Korea which was security' one in the Korean peninsula. The repatriation of 'JipHunChongDae(集訓總隊)' repeated an extension by an America's slow up work and was performed over two order in March 1946. Because it was played a check, as for the U. S. armed forces having let you delay their repatriation, it is determined this Chinese intention. While it was keen Kuokong neichan(國共內戰), the Chinese national government limited a movement in China of a Korean through 'HanGyoIpGyeongCheoRiPanBeop‘(韓僑入境處理瓣法). The return of the Korean who blew on a a province of Taiwanese established in April in 1947 devoted itself to the middle that generally finishing became, residential investigation of a Korean and ’GeoRyuJeung‘(居留證) issue. The Chinese national government did issue condition of GeoRyuJeung on the Korean who flowed to Taiwan strictly. And They adhered to an attitude to let you call back Koreans immediately if self-condition was not enough. This is interpreted as by having been measures to secure Taiwanese public security. The Taiwanese Korean Association(臺灣韓僑協會) took charge of role in the situation that the back coin delegation which reported identity of a Korean to the government of Taiwan nature wealth after examining guarantee and a residence situation was not installed in to a semi-national organization and went out. It was the middle, the 400 that a lot of Koreans returned to, and a large percentagen Korean looked up new life by local settlement and went out. The Taiwanese Korean Association exhausted role as a self-government enemy representative organization of a local Korean till a state religion between Korea and Chinas was established.